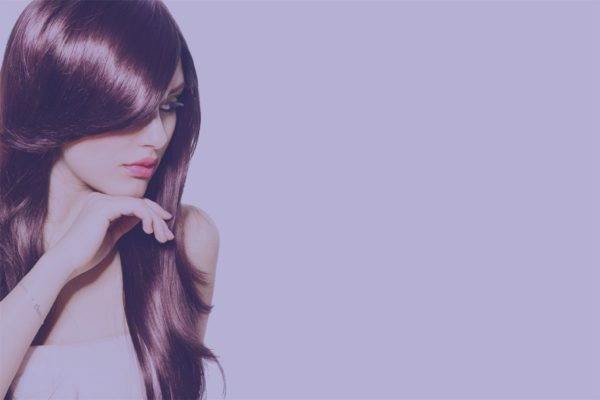 Hairdressing Apprenticeships – Span Training and Development Ltd.
and hundreds of the country’s best salons are working with us. Please see below the key products we have to offer, detailed information for learners and employers and all the programmes we deliver. Span is funded by the government through the Education and Skills Funding Agency to provide Apprenticeships in hairdressing for young people. 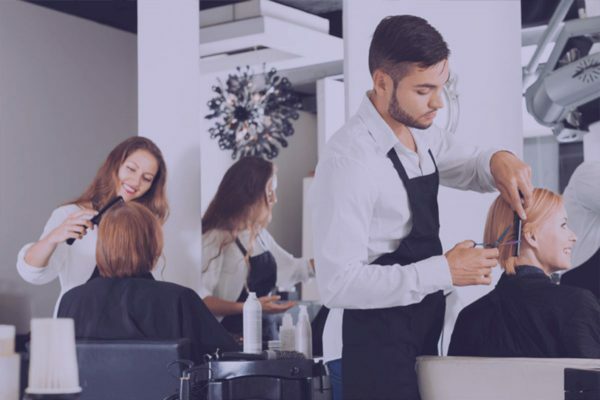 As one of the largest hairdressing training companies in England, we can secure enough funds to continue bringing our high quality service to increased numbers of learners in Berkshire, Buckinghamshire, Oxfordshire and Wiltshire areas. Through these subsidies and your own input we are able to offer low cost and in many cases free training to our partner salons. We can help you gain the skills that you need to become a great hairdresser. Span Training will be there every step of the way, from helping you to find a good employer to the completion of the vital training that you need to make it in this competitive industry. All of our training staff are fully qualified hairdressers, many gained their qualification with Span when they started out. Our aim is to help you gain full employment, become fully qualified in a Span approved salon and to help you earn a living while learning to be a great hairdresser. Span is funded by the government through the Educations and Skills Funding Agency, so most of your training is free. All you have to do is work with a Span approved employer who will allow you to attend our off-the-job training sessions, relevant examinations and training reviews. Our Intermediate Apprenticeship is 18-20 months long and our Advanced Apprenticeship is a further 14 months. To adopt and adhere to an Equal Opportunity Policy in Compliance with the Equality Act 2010 and to ensure learners understand their obligations within the Act.To work with the Span Equal Opportunity and Diversity Policy to ensure equal opportunity to all learners participating in SpanProgrammes. To allow access to ESFA Inspectors, Ofsted Inspectors, Awarding Body External Verifiers (EQAs) and Span Internal Verifiers (IVs) as required and byappointment. *Span Training and Development Ltd does not currently charge Employers for its services and reserve the right to invoice in certain circumstances. To provide broad-based relevant training and workexperience. To allow reviews and assessment during normal workinghours. To support and quality assure work-based PracticalTraining. To supply and monitor the use of learningmaterials. Span Training and Development Ltd wish to recognise excellent employment practice performance and support for Apprentices in the Training and Assessment Field. 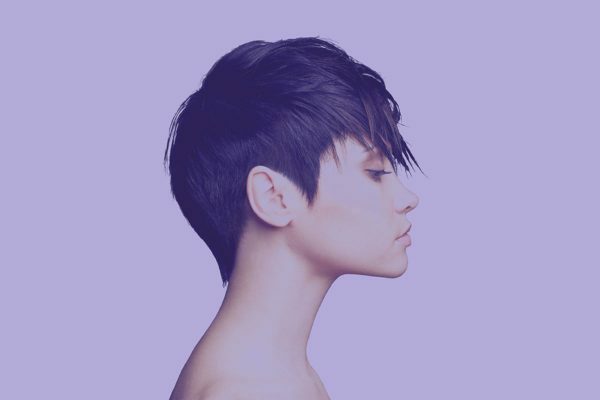 For those Salons who meet the criteria defined at Category 1 and 2 and in addition provide consistent Apprentice support, planned in-house training, assessment to demanding standards, demonstrate good employment practice and whose Apprentices are retained and complete their complete Framework in a timely manner (see specific criteria). An Awards Panel will decide the award decisions for Standards 2 and 3. The applications will be accepted throughout the year. Timely Completion Rates (how many of your Apprentices finished their qualification within the specified timeframes. Opportunities provided to enhance personal development and achievement (e.g.contributions to charity for the good of local community. Conforming to the specific requirements of Health & Safety law, and provide, promote and monitor the workplace Health & Safety Policy (written if over 5 employees), undertake risk assessments of the workplace and provide thorough induction, ongoing training and supervision of Health & Safety in theworkplace. Holding written fire risk assessments for business premises. Conforming to the specific requirements of Equal Opportunity Act 2010, and provide, promote, and monitor the workplace Equal Opportunity Policy and practice, and provide thorough induction and ongoing training in Equal Opportunity in the workplace. Conforming to all aspects of Employment Law and issuing a written Contract of Employment to all Apprentices within two months of commencement of employment. Holding Employers Liability Insurance and Public Insurance that covers allApprentices. Registering with the appropriate Enforcing Authority (Health & Safety Executive/ Local Authority). Ensuring Apprentices are informed of, and have access to clear written grievance and disciplinary procedures. Complying with, and endeavouring to exceed current minimum wage law, provide itemised pay statements and conform to the government minimum wage guidance. Giving Span Apprentices a minimum of 4 normal working weeks paid annual leave, in addition to paid Bank Holidays (see Department for Business Enterprise and Regulatory Reform – DBERR website for further information: http://www.berr.gov.uk/employment/employment-legislation/working-time-regs/index.html Span Training and Development Ltd will monitor employer’s actions to comply with current legislation and monitor it, where appropriate, employers will be advised to seek professional guidance. 16 & 17 year old Apprentices should only work 8 hours a day and not have their time ‘averaged out over 17 weeks’ as an ‘adult’ can. In addition, 16 & 17yr old can’t have an ‘opt out’ agreement. All assessments achieved in the workplace will be subject to quality sampling from both Span Internal Verifiers and Awarding Body External Verifiers. ▪ How to write and produce a Health and Safety Policy, with ablank version for you to personalise. Health and Safety information should buy this pack. All Apprentices changing agreed hours of work and in particular if they fall below 30 hours. Apprentices likely to have prolonged absence from work, but who intend to return. Any unauthorised absence. Where unauthorised absence in excess of ten consecutive working days occurs Apprentices could be regarded as having terminated from the Programme. Any accidents or incidents resulting in absence from work of 24 hours or more. Any accidents reportable under RIDDOR. Any Apprentice who needs additional or alternative learningsupport. Any Apprentice reporting unfair or discriminatory issues in relation to Equal Opportunities. Any Apprentice wishing to terminate (Span must conduct an exit interview). A wish to terminate a Span Apprentice. To review the viability of the completion of any other on-going work in the workplace (e.g. Assessor support) in the event of a sole Apprentice in the workplace leaving the programme before achieving their Framework (unless there has been a separate agreement with the employer). To invoice employer for appointments cancelled with less than 48 hours notice unless there are mitigating circumstances. Invoicing will be made against our current pricing structure, available on request. To invoice for additional visits required for Apprentices who have exhausted their funding allocation (fees to be determined annually) and who have not achieved their Individual Training Plan on the agreed date. Providing regular updates of assessment practice. Scheduling and hosting regular mandatory assessormeetings. When possible, provide training for the TAQA Qualification or other relevant qualifications to meet identified needs. To maximise any available funding to reduce costs to Span Employers and support individuals through the qualification. Provide assessor support to new and existing assessors. Provide an occupationally competent assessor/s in theworkplace. Provide opportunities for continuous professional development of assessors. Ensure Work based assessors will attend a minimum of two Span mandatory standardisation and updating meetings per annum. Encourage and provide adequate time to carry out regular assessment of Apprentice’s progress. To provide consistently high quality training to Apprentices, allow Span Training and Development Ltd to grade the provision of training periodically and work towards clearing any action plans that may ensue. Field Service Managers will visit you in your salon on a regular basis, to monitor your progress. They will assess your progress jointly with the salon assessor, set challenging targets, offer guidance and counselling, and ensure integration of your on, and off job training. An Action Plan will be agreed with you and your employer dependent on need, and any necessary information outlined on your ILP. During your training you will receive training and work experience from your salon combined with ‘Off the Job Training’ based in a suitable venue under the guidance of Span Training & Development Ltd.
Should you suffer injury or contract an industrial disease, you are protected by the law as any employed person, and your Salon will take the necessary precautions to safeguard your health and safety. However, you also have a legal duty to obey safety rules and not to interfere with or misuse anything provided to protect your health, safety or welfare in compliance with the HEALTH AND SAFETY AT WORK ACT (1974). Absence is not allowed from Off-the-Job Training without prior permission except in the case of sickness, accident or emergency. Employers are notified of non-attendance at Off-Job Training. Regular unauthorised absence could result in termination from the programme. If you are sick for Off-the-Job Training, please notify Span on 0845 548 5100 before 9:30a.m. You must also keep your Salon informed. Absence from Off-the-Job Training for dental or hospital appointments should be requested in advance and supported by relevant appointment cards. All Learners will need the most recent edition of Leo Paladino Hairdressing Book (details will be given to you at induction) You may find your Salon has a copy or could help with the cost. Concerns relating to any of these areas should be reported to your Salon Manager and your F.S.M should be informed. There are rules to be observed during your Training Programme both at your Salon and any training location. These rules will be outlined during your induction, will be confirmed in a hand-out and will relate in particular to attendance, health and safety, the Equality Act and Prevent Regulations. and general conduct. Should you be found to be breaking any rules, your Salon and FSM will be informed and, where appropriate, action will be taken. In the event of a serious incident, you could be suspended from the Programme whilst the matter is investigated. For a confirmed serious breach of discipline, immediate dismissal from the Programme could take place, in consultation with your Salon and the Span. If you have any problems concerning your programme or about the way in which you have been treated, you must first talk to your Salon Supervisor. If he / she is unable to help you, ask to speak to your Span FSM. If you feel you have been wrongly accused of a serious breach of discipline, which has not been resolved via your salon procedure you are entitled to seek advice from the Citizens Advice Service and/or make representation to the ESFA. You may do this after all other grievance and disciplinary procedures have been pursued. Span is an approved Training Organisation, ITEC and City and Guilds Centre, a member of Habia and contracts with the Education and Skills Funding Agency to provide training according to terms standards. Should these standards/terms change during your learning programme you will be informed and your ILP will be changed accordingly. Fully participate in project work and open learning exercises. Present work to Span Trainers/FSM on agreed dates. Attend your Off-the-Job Training regularly and on time. Always have paper, pens and your training file with you at Off- the-Job Training. Recognise that Off-the-Job Training is an essential element of your programme and is obligatory. Are not absent without prior permission of your Tutor / Field Services Manager and / or your Salon for other than genuine (notified) sickness, accident or emergency. Treat all equipment and premises with due care and regard to health and safety. Participate fully in any End of Year Presentation, Shows or Competitions. Build and reference your own portfolios to agreed standards. Act in a responsible and respectful manner towards all people with whom you come into contact.